RSS, short for Really Simple Syndication, is a format for syndicating news and the content of news-like sites. An RSS page, also known as a "feed", can pretty much syndicate anything that can be broken down into discrete items. Once information about each item is in RSS format a user can subscribe to a feed using an RSS-aware program, also known as a "news aggregator", which will automatically check the feed for changes and display these to a user in a common location making internet browsing more timely and efficient. The AIMS Recent News RSS feed contains a variety of different items including information on upcoming classes and meetings, recent annexations, new plats submitted to Johnson County, and recently released products, in addition to current AIMS and Johnson County related GIS news. Listed to the right are links for adding the AIMS Recent News RSS feed to some of the most popular news aggregators. 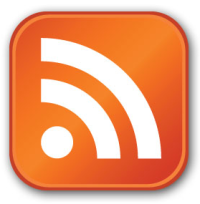 If you don't see your favorite news aggregator listed or you prefer not to use an aggregator, you can always click on the orange RSS logo at the bottom of the list to be taken directly to the RSS feed.